Regular dental checkups can make for pretty dull reading, so the client requested a campaign of print material that was fun and colorful to really engage the reader and be memorable. 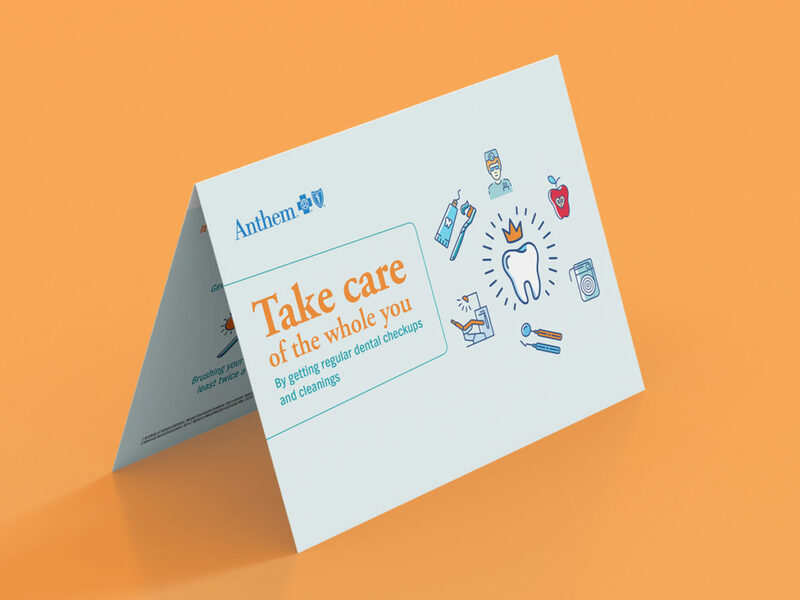 The use of bright brand colors and icons make this easy to read, and delivers the information in an interesting way. 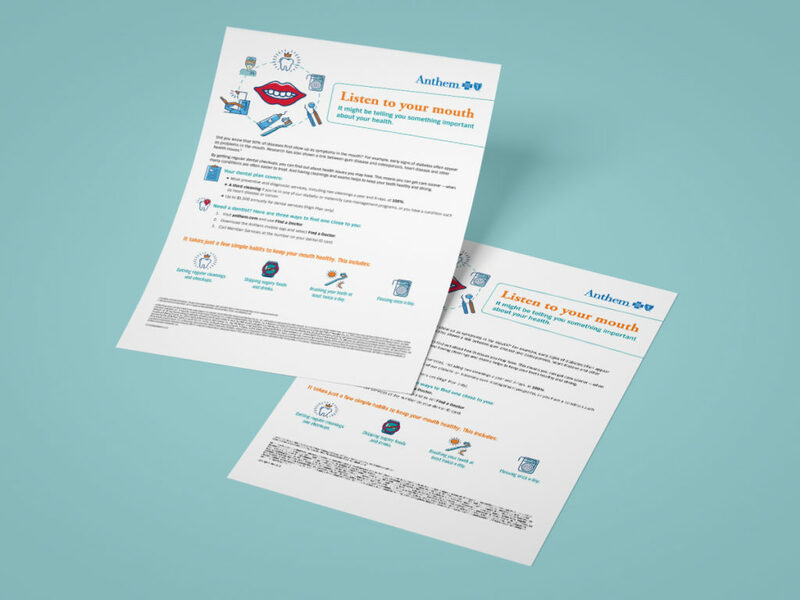 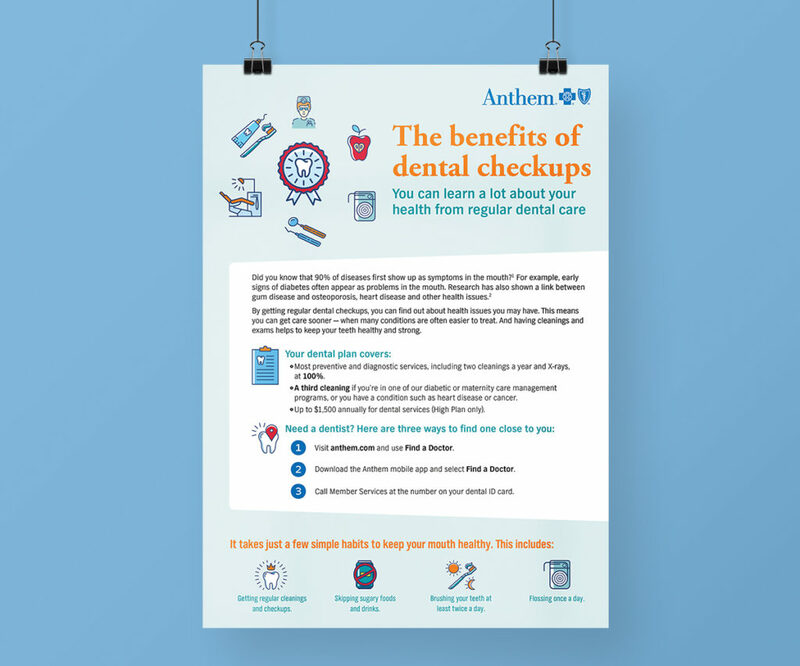 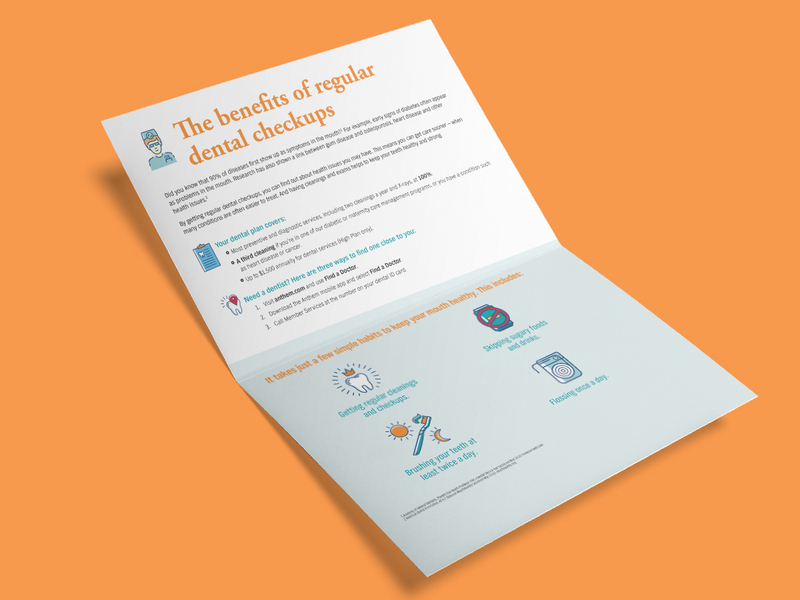 This campaign has a direct mail flyer, a standalone flyer and a workplace poster informing customers the benefits of their dental plan that they may not know they have.